The latest Fish ‘O’ Mania qualifying match was fished at the well-stocked Messingham Sands complex in Scunthorpe on six of its ponds; Oak Tree, Tripp, Hollywood, Merry’s, Islands and Swan on Saturday 23rd April 2016. A recent cold snap, with overnight frosts and cold northerly winds coming from the Arctic would present the 160 peg field with a challenge; there would be pockets of fish finding slightly warmer water, and locals could not predict where the winner might come from. 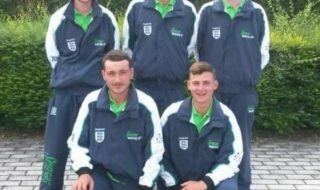 As the anglers hoping to get through to the grand final in July made the draw, it was disappointing that of the 16 who failed to turn up only 4 bothered to let the organiser know. Six reserves travelled to the venue hoping to get a place and one of these delighted anglers went on to win the match. Despite the very cold winds, early reports showed fish being caught, with local favourite Carl Swetnam fishing peg 48 on the point at Swan Pond regularly netting skimmers and odd carp fishing short. Another local, Shane Blades was also catching on fancied Merry’s peg 1. The wind seemed to be affecting those on Islands Lake and Swan Pond the worst, with many struggling to keep bites coming. Oak Tree Pond saw more anglers catching carp, and some good battles were developing. Steve Rothery on 23 and Marc Rodger on 27 were both fishing short and netting carp steadily. Round the corner the 5 anglers on pegs in the 40’s were also catching carp. Meantime, on Tripp peg 25, 24 year old Les Marshall from Barnsley, who was one of the lucky 6 reserves to get a place, was building up a good weight. Dobbing meat, Les finished with 30 carp to 11 lb to win comfortably with 151-12. 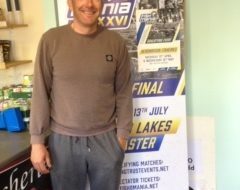 Les was delighted that he had made the journey and was looking forward to fishing the finals in July. Runner up was Yorkshire man Steve Rothery on Oak Tree 23 who switched between bread in the margins and pellet at 3 meters to weigh 123-13. 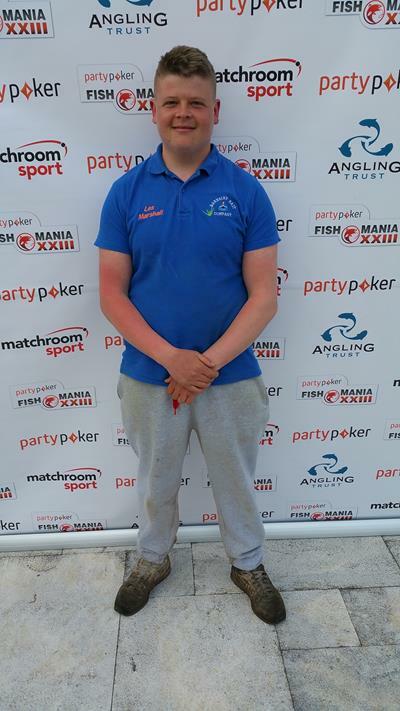 Third place went to Grimsby’s Marc Rodger on nearby peg 27 who weighed 117-05, fishing 6mm hard pellet short. Marc was disappointed not to have pulled off the win, but will keep trying with several more qualifiers to fish. Another Barnsley angler, Mark Stainsby, won the battle in the 40’s, weighing in 106-10 for fourth spot off Oak Tree 45. Fifth went to Shane Blades on Merry’s peg 1, the venue regular from Ulceby putting 103-08 on the scales, and sixth was another Yorkshire man, Andy Oldham, weighing in 97-03 to complete the frame. 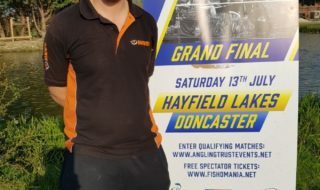 All in all, the venue fished very well given the adverse conditions and fishery owner Kevin Johnson is confident of another very good show at the next qualifier here in May, when the weather should have settled. Meantime, the next Fish ‘O’ ’Mania moves to Makins on Wednesday 27th April.